First Wayne Street has a rich history in so many areas. It has been a delight to serve with you this past year. As we look toward the future together, Stephen Ministers and Care Team members at First Wayne Street continue to meet the needs of the congregation in the midst of struggles and transitions. 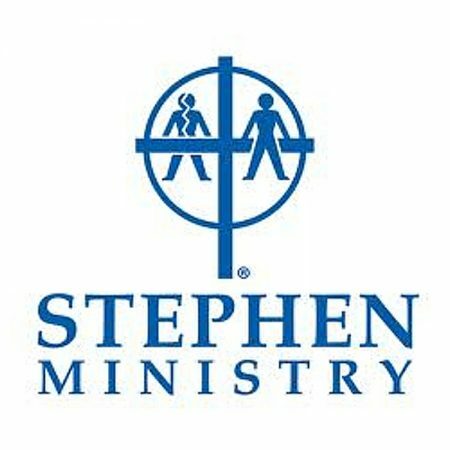 Some of you may ask what is Stephen Ministries? It is a group of laypeople trained to provide one-to-one Christ-centered care. At First Wayne Street there are 15 trained Stephen Ministers. A Stephen Minister typically has one person (care receiver) at a time and meets with that person once a week to listen, care, pray, encourage, and offer emotional and spiritual support. Stephen Ministers meet once a month to provide prayer support and encouragement to each other. Stephen Ministry is also about leadership. At First Wayne Street Leadership started when Pat Lee and Sarah Phillips went to Leadership Training. Training is held throughout the year in more than 13,000 congregations which have Stephen Ministry programs. This represents over 170 denominations, all 50 states, all 10 Canadian provinces, and 30 other countries. Training is completed in a week. God might be calling you to take a week of vacation from your job to attend training and serve Him. After Pat Lee and Sarah Phillips First Wayne was able to send Don Warner to Leadership training. He has faithfully led the group for many years. We honor these leaders in our community. Currently Stephen Ministers are rotating leadership among ourselves. Look in the bulletin for who is leading each month. Be sure you pray for this person and ask them about their faith journey. First Wayne currently has an opportunity for new leaders. This leadership training allows you to serve Christ, our church and to also be a leader in your work setting and community. For more information visit www.stephenministries.org or call Pastor Jan.
Stephen Ministry and Care Team are about a presence in the community. We often provide care for people in the broader community, enhancing and expanding our congregation’s outreach in powerful ways. We care for neighbors, regularly tutor students, and provide Christian leadership to friends and family. This unique call from God allows each to witness to the people they meet each day. We are blessed by Stephen Ministers and our Care Team who deliver communion to shut-ins, write notes and make regular visits and phone calls. God calls us to care for each other and share hope, help and healing. I pray you will have an opportunity to serve Christ in a unique and hopeful way.